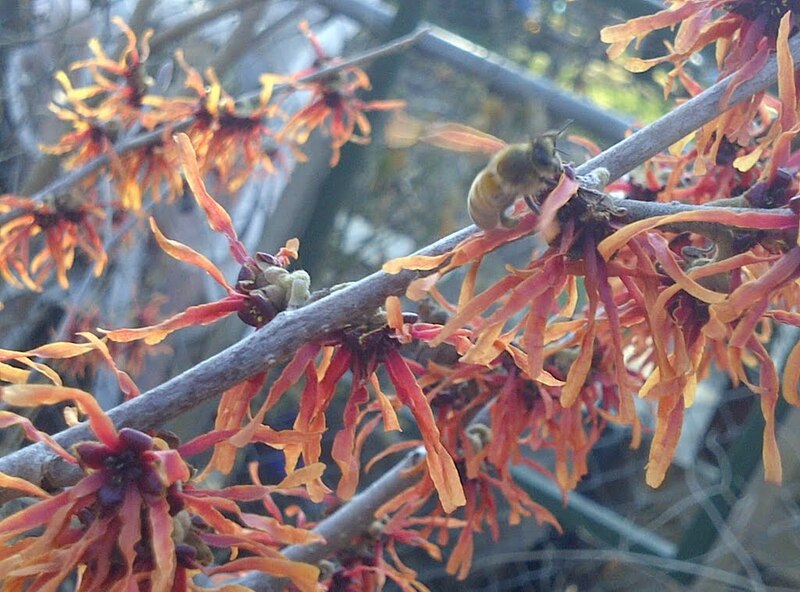 Gardening in Toronto: Buzzworthy news...in March! 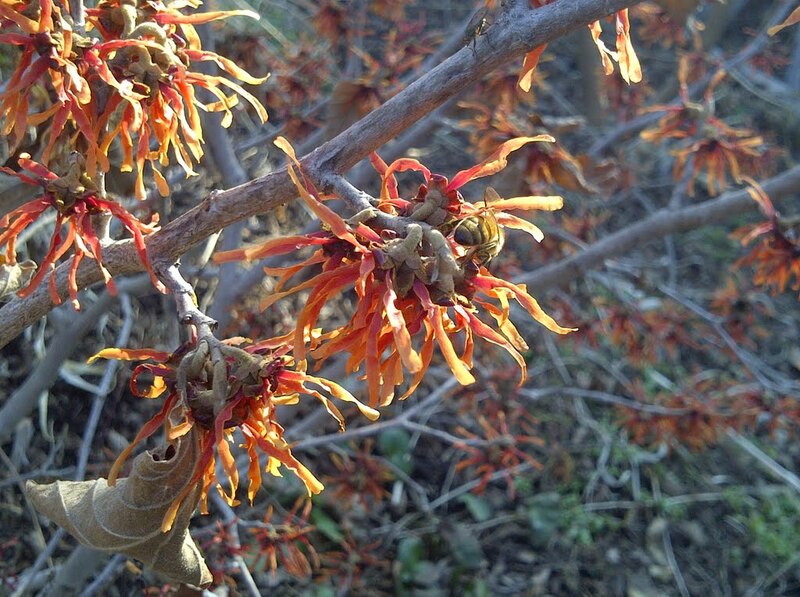 The earliest blooming shrub in my garden is Witch Hazel. This is only the second spring for Hamamelis x intermedia 'Diane' in my garden, but it has been putting on quite a show since mid-February. From a distance the flowers are a burnt red. Today, March 11th, they've turned into a lovely fireworks of oranges and reds. There were about half a dozen of these pollinators (bees, wasps--I can't tell the difference) swarming the plant! I imagine they were starving, and this was one of the very few "restaurants" in town open! 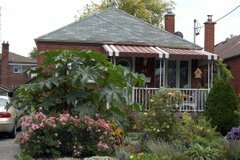 Noted plant guru Marjorie Harris often talks about the importance of planting lots of tiny bulbs that flower early so that the early pollinators will have something to eat. I have to admit that I didn't think there were a lot of pollinators out looking for breakfast when the earliest of these bulbs and, in the case of witch hazel, shrubs bloom, but today was quite something to see. Granted, today's temperatures were record breaking, but in a "normal" year, the same scenario would be playing out in a few weeks. I think this is a good excuse reason to buy more early spring-flowering bulbs this year. The three snowdrops that bloomed last week aren't going to be enough of a buffet for my early buzzing friends! Spring. 2012. Need I say more?